Wheatfield Church stands alone in a deserted park in deepest Oxfordshire, the sole surviving reminder of the once great country estate of the Rudge family. 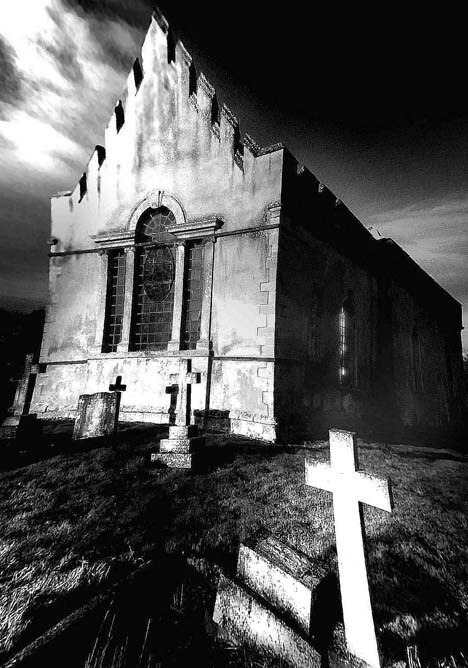 Wheatfield house was destroyed by fire in 1814 leaving the Church abandoned to rats, birds and it seems ghosts. Services are rarely held at Wheatfield yet lights have been seen shining from the building late at night when it is known beyond doubt that the place is locked and empty.